Alliance DBS Research has upgraded its “hold” to a “buy” call on Cahya Mata Sarawak (CMS) shares with a 12-month target price of RM4.30. In a note today, the research house said the share price has corrected by 25 per cent from its recent peak and is now at an attractive entry level for investors. “The company’s fundamentals are stable with limited downside risks,” it added. The research house said the company showed a strong performance in 2014 financial year by key divisions amid robust development activities in Sarawak. It said the construction materials and road maintenance divisions have been posting record profits with robust construction activities and infrastructure development in the state. “This will persist in 2015 as the Sarawak state government may increase infrastructure spending ahead of the state election in 2016. 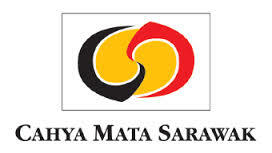 “There will also be a maiden contribution from OM Sarawak in which CMS has a 20 per cent stake. “Four of the 16 ferrosilicon furnaces were commissioned in 2014 fourth quarter, and the rest will be fired up gradually to reach full operation by 2015 second quarter. “At 70 per cent utilisation rate, we estimate OM Sarawak will contribute about 11 per cent of CMS’ bottomline in FY15,” it added.